Southend vs AFC Wimbledon predictions for Saturday’s League One fixture at Roots Hall. Can the Shrimpers bounce back after a poor defeat in the week? Continue reading below for all our free tips and predictions. 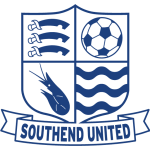 Winning has proved to be beyond Southend for some time now; the Shrimpers are without a win since mid-January, which means that they’ve failed to win each of their last nine league matches, five of which they’ve lost. For much of the campaign, Chris Powell’s men haven’t been thought of as relegation-candidates, but thanks to their recent form, they find themselves just two points above the drop. Quite frankly, Southend’s performance during the week wasn’t good enough; they gave far too much away, shipping 2.5 expected goals, while they failed to match their opponents in terms of both creativity and end-product, as they scored just once and clocked a rather measly 0.7 expected goals for. Facing Wimbledon at home is potentially an easier task, though the Shrimpers will need to deliver an improved performance to get the desired result. When they rallied to draw 3-3 with Portsmouth at this venue a month ago, it looked as though Southend could kick forward and start getting some decent results, though they’ve been unable to do that. Powell’s men haven’t managed to regain the winning thread and, as they’ve now been outperformed in terms of expected goals in each of their last three games, as well as in five of their last six, it’s easy to see why. In contrast, Wimbledon, who remain bottom of the pile, are putting up a real fight. They held Shrewsbury to a draw not that long ago, while they’ve since beaten both Doncaster and Peterborough. Such victories have given the Dons a fighting chance of beating the drop, though they need to keep winning. It was easy to feel that Wimbledon were a tad fortunate to beat Doncaster last weekend, but their efforts when beating Peterborough on Tuesday night were very good. Having created considerably more than they gave away against a play-off chasing team, Wally Downes’ men ought to fancy themselves to do well against a weak Southend side. Not only do Wimbledon come here unbeaten in three, but they’re also unbeaten in three on the road, two of which they’ve won. As touched on above, they held the Shrews, while they battled hard to beat both Rochdale and Walsall prior to that. Again, having bettered such teams in terms of expected goals, it’s easy to see Wimbledon doing well on Saturday. At the prices, Wimbledon are tough to avoid. Southend have struggled both home and away of late, while Wimbledon are enjoying their best form of the season. Moreover, the visitors’ recent efforts on the road have simply been better than anything that the Shrimpers have produced at Root Hall. Against a side that has lost four of their last five at home and that has been outperformed in terms of expected goals in each of those five, the visitors are backed to edge it. Wimbledon have outperformed their opponents in terms of expected goals in three of their last five on the road. Southend have been bettered in terms of expected goals in each of their last five at home. 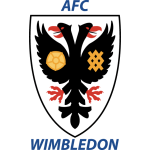 Only four teams in League One have conceded less shots on target than Wimbledon on the road this season. Southend have an average expected goal difference of -0.04, while Wimbledon’s is +0.14 on the road.